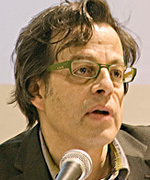 Steven Reisner, PhD, is a Psychological Ethics Advisor to PHR and was a co-author on the PHR report <a href="https://phr.org/resources/experiments-in-torture-3/">Experiments in Torture.</a> A founding member of the Coalition for an Ethical Psychology, Dr. Reisner is also on the primary faculty of the International Trauma Studies program at New York University and is an Adjunct Professor in the Program in Clinical Psychology at the Columbia University Teachers College and at the New York University School of Medicine. Dr. Reisner previously was Chief Psychologist at Regent Hospital in New York City, and has remained active in consulting on the treatment of post-war and post-natural-disaster trauma victims internationally, including in Kosovo, the Kurdish region of Iraq, India, and Sri Lanka. He is also a consultant to the staff of stress counselors at the United Nations. Formerly an Obie-award winning director and actor, Dr. Reisner was consulted on the importance of the arts in post-war recovery projects in Peru and in Sierra Leone, and currently works in theater as director of Theater Arts Against Political Violence, which has helped create theater works with Tibetan, Chilean and Kosovar survivors of torture and exile in New York and in Kosovo. He was awarded the New York Psychological Association’s 2010 Beacon Award in recognition of his work on human rights.